Posted by rogerhollander in Canada, Environment, First Nations, Ontario. Roger’s note: Let’s here it for Liberal governments. 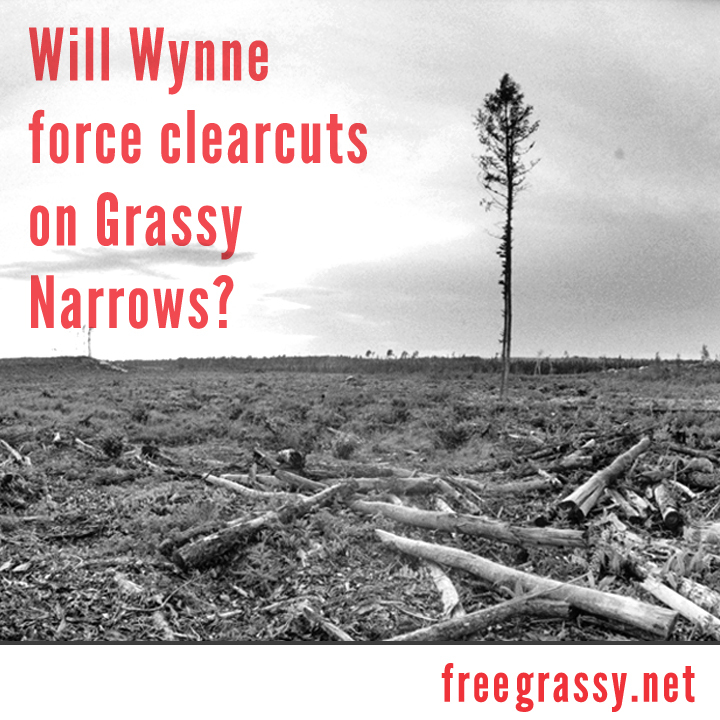 Grassy Narrows – Today the Wynne government approved plans for another decade of clearcut logging in Grassy Narrows Territory against the will of this Indigenous community. The decision has ruined Christmas in a community already struggling with the long term health impacts of mercury poisoning. The Whiskey Jack Forest Management Plan 2012-2022 plans for dozens of large clearcuts on Grassy Narrows Territory, some nearly the size of pre-amalgamation Toronto. Speak out against the plan here. The plan sets out a schedule to clearcut much of what little mature forest remains on Grassy Narrows Territory after decades of large scale industrial logging. Clearcut logging elevates mercury levels in fish – deepening the tragedy caused when 20,000 lbs of mercury poison were dumped into Grassy Narrows’ river by a paper mill upstream in the 1960’s. This logging will further erode the Aboriginal and Treaty Rights of the community which depends on the forest to sustain their families and to practice their culture through fishing, hunting, trapping, medicine harvesting, ceremony and healing for all generations. We were not properly consulted and we do not accept any application of this plan to our traditional lands. The Chief and Council along with community Elders stand united on this issue and are determined to protect the community’s way of life; Aboriginal and Treaty Rights. The Supreme Court of Canada will hear Grassy Narrows’ case against Ontario in May, with a decision following by six months or more. 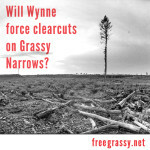 The legal action argues that Ontario does not have the right to unilaterally permit logging on Grassy Narrows land due to promises made by Canada in Treaty 3. The new logging plan takes effect in April. Grassy Narrows is the site of the longest running native logging blockade in Canadian history – an ongoing grassroots action which recently celebrated its 11th anniversary. Grassy Narrows youth, elders, women, and land-users put their bodies on the line to stop logging trucks from passing. High res photos and b-roll available: riverrun2010@gmail.com. Calling tar sands development a project of “total destruction,” members of the Nez Perce tribe placed their bodies before a ‘megaload’ of extraction equipment for the second night in a row Tuesday, temporarily halting the convoy as it makes its way along Idaho’s Highway 12 to the Alberta tar sands fields. Roughly 50 protesters from the Nez Perce tribe, Idle No More, Wild Idaho Rising Tide and other environmental groups halted for over an hour the 255-foot long, two-lane-wide shipment—the bulk of which was a 322-ton water purification unit being pulled by a big rig. After gathering at a river access point a quarter mile from where the megaload truck stopped before dawn Tuesday, protesters began hiking westward along Highway 12 to a ramp where the roadway splits from Highway 95. At around 10:30 p.m., the Omega Morgan truck that had sat idle began to rumble to life, and a fleet of Nez Perce Tribal Police, County Sheriff, and Idaho State Police vehicles began moving toward a crowd of protesters blocking the roadway. The blockade broke after a police car drove straight through the group of people, Earth First! Newswire reports. “Police used the usual tactics to break up the blockade, threatening people with mace, pushing activists, separating parents from children, and so on,” they add. Nineteen individuals, including all members of the Nez Perce executive committee, were arrested Monday evening and released on bail Tuesday. According to Reuters, the load is one of two planned shipments by Oregon hauling company Omega Morgan. Posted by rogerhollander in Canada, Civil Liberties, Criminal Justice, Environment. Monitoring of environmental activists in Canada by the country’s police and security agencies has become the “new normal”, according to a researcher who has analysed security documents released under freedom of information laws. Security and police agencies have been increasingly conflating terrorism and extremism with peaceful citizens exercising their democratic rights to organise petitions, protest and question government policies, said Jeffrey Monaghan of the Surveillance Studies Centre at Queen’s University in Kingston, Ontario. The RCMP, Canada’s national police force, and the Canadian Security Intelligence Service (CSIS) view activist activities such as blocking access to roads or buildings as “forms of attack” and depict those involved as national security threats, according to the documents. 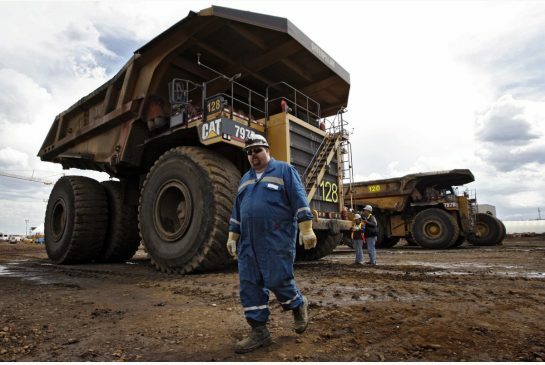 Protests and opposition to Canada’s resource-based economy, especially oil and gas production, are now viewed as threats to national security, Monaghan said. In 2011 a Montreal, Quebec man who wrote letters opposing shale gas fracking was charged under Canada’s Anti-Terrorism Act. Documents released in January show the RCMP has been monitoring Quebec residents who oppose fracking. “Any Canadians going to protest the Keystone XL pipeline in Washington DC on Sunday had better take precautions,” Monaghan said. In a Canadian Senate committee on national security and defence meeting Monday Feb 11 Richard Fadden, the director of CSIS said they are more worried about domestic terrorism, acknowledging that the vast majority of its spying is done within Canada. Fadden said they are “following a number of cases where we think people might be inclined to acts of terrorism”. Canada is at very low risk from foreign terrorists but like the US it has built a large security apparatus following 9/11. The resources and costs are wildly out of proportion to the risk said Monaghan. “It’s the new normal now for Canada’s security agencies to watch the activities of environmental organisations,” he said. Surveillance and infiltration of environmental protest movement has been routine in the UK for some time. In 2011 a Guardian investigation revealed that a Met police officer had been living undercover for seven years infiltrating dozens of protest groups. Canadian security forces seem to have a “fixation” with Greenpeace, continually describing them as “potentially violent” in threat assessment documents, said Monaghan. “We’re aware of this” said Greenpeace Canada’s executive director Bruce Cox, who met the head of the RCMP last year. “We’re an outspoken voice for non-violenceand this was made clear to the RCMP,” Cox said. Those who believe we can freely trash the environment in our quest to make ourselves richer suffer from a serious delusion — a delusion that doesn’t appear to afflict aboriginal people. Aboriginals tend to live in harmony with Mother Earth. Their approach has long baffled and irritated Canada’s white establishment, which regards it as a needless impediment to unbridled economic growth. Nowhere is this irritation more palpable than inside Stephen Harper’s government, with its fierce determination to turn Canada into an “energy superpower,” regardless of the environmental consequences. So it’s hardly surprising that the Harper government has ended up in a confrontation with Canada’s First Nations. Certainly the prime minister has shown a ruthlessness in pursuing his goal of energy superpowerdom. He has gutted long-standing Canadian laws protecting the environment, ramming changes through Parliament last December as part of his controversial omnibus bill. He has thumbed his nose at global efforts to tackle climate change, revoking Canada’s commitment to Kyoto. And he’s launched a series of witch-hunt audits of environmental groups that dared to challenge the rampant development of Alberta’s oilsands — one of the world’s biggest sources of climate-changing emissions — as well as plans for pipelines through environmentally sensitive areas. But, while there’s been some resistance from provincial governments, opposition parties, and environmentalists, Ottawa’s energy juggernaut has continued to surge ahead. At least until now. With the First Nations, Harper may have met his Waterloo. Among other things, Harper’s attack on Canada’s environmental laws included rewriting parts of the Indian Act, thereby removing safeguards for native land and waters that are protected in the Constitution. Of course, even with the Constitution on the side of aboriginals, it’s hard to imagine a group consisting of some of the poorest people on the continent taking on the federal government, backed up by corporate Canada, and winning. After all, the First Nations are divided, and the government has deftly exploited these divisions. Furthermore, many influential media commentators side with the government, helping it portray aboriginals as impractical dreamers unable to understand the dictates of the global economy. And restless natives have been a permanent political backdrop in Canada, unable to even ensure clean drinking water for themselves, let alone shape the government’s agenda. But what’s new and potentially game-changing is Idle No More, the youth-based native initiative that, suddenly and unpredictably, has grown into a feisty grassroots movement — one that has shown the potential to attract activists from Occupy Wall Street, the Quebec student movement and even middle-class Canadians starting to wonder if barbecuing weather in mid-January suggests we’re playing too fast and loose with the environment. 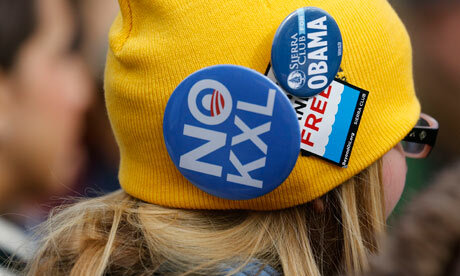 Idle No More grew directly out of the resistance to Harper’s energy juggernaut. Pam Palmater, a Mi’kmaq and spokesperson for Idle No More, notes that changes in the omnibus bill make it easier to overcome native resistance to energy projects. For instance, the changes would enable a handful of natives, without support from the band majority, to surrender reserve land to Enbridge, enabling it to build a pipeline. 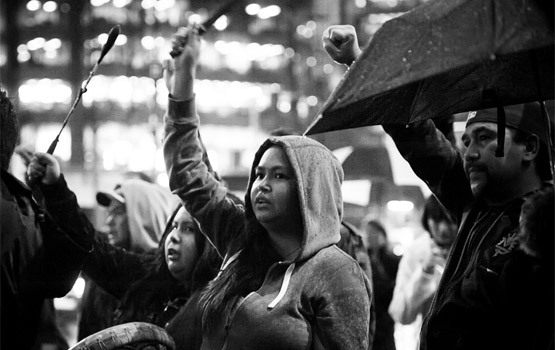 The Harper government will undoubtedly mobilize resources and cunning against Idle No More. Whatever happens, it’s hard not to be inspired by this gutsy, earthy band that has asserted itself in the tradition pioneered by native-influenced governments in Ecuador and Bolivia, both of which have passed laws giving Mother Earth legal protections. Canadians have reason to be ashamed of our treatment of aboriginals — from residential schools to the continuing failure to provide basic necessities like water, housing and education to people whose ancestors were here long before ours arrived. Ironically, their insistence on their constitutional rights, as Palmater notes, may be the last best hope of Canadians to reverse our own culture’s reckless disregard for the dictates of Mother Earth, who ultimately is more demanding and unforgiving even than the global economy. Rising GDP levels won’t mean much if we’re swamped by rising sea levels. The very least we can do is to get behind this ragtag group that has, in a few short weeks, shown more wisdom than our “advanced” society has mustered in decades. Linda McQuaig is a columnist for the Toronto Star. She first came to national prominence in 1989 for uncovering the Patti Starr Affair, where a community leader was found to have used charitable funds for the purpose of making illegal donations to lobby the government. McQuaig was awarded the National Newspaper Award for her work on this story. The National Post has called her “Canada’s Michael Moore”. Linda is the author (with Neil Brooks) of Billionaires’ Ball: Gluttony and Hubris in an Age of Epic Inequality, published by Beacon Press. Posted by rogerhollander in Canada, Democracy, Environment, First Nations. Roger’s note: the Conservatives of Stephen Harper (a friend refers to them as the suposi-Tories) formed a majority government with barely 40% of the popular vote and now act with mean-spirited Social Darwinistic impunity (with attacks on social programs, aboriginal rights and environmental protection, etc.). They call themselves Conservatives but in reality the old Progressive Conservative Party has been hijacked by the quasi-fascistic Reform Party (Canada’s Tea Party). They cannot be stopped through parliamentary means, the struggle is in the streets. Visit almost any reserve in Canada, and you’re likely to see third world social indicators in a first world country: high incarceration rates, inadequate housing and sanitation, reduced life expectancy—due in part to abnormally frequent suicides—lack of employment and education opportunities, and substance abuse. This, after more than a century of colonization by a government that refuses to acknowledge its identity as a colonial power. Meanwhile, native youth are the fastest-growing segment of Canada’s population, according to . Is it any surprise that they’re taking on repressive legislation and using social media to organize? Kristin Moe is a Washington, D.C.-based writer and activist who is enrolled this fall at the Salt Institute for Documentary Studies in Portland, Maine. Critics say that assault reached a crescendo in recent weeks with the passage in Parliament of an omnibus budget bill known as C-38, which guts or significantly weakens rules relating to fisheries protection, environmental assessment, endangered species, and national parks. Under this bill, the criteria that currently trigger environmental assessments, for example, have been eliminated, leaving such reviews more to the discretion of the Minister of the Environment and other political appointees. The Fisheries Act will no longer be focused on habitat protection; instead, it will restrict itself largely to the commercial aspects of resource harvesting. Ocean dumping rules will also be changed to allow the Minister of the Environment to make decisions on permitting. And Parks Canada will no longer have to conduct environmental audits or review management plans every ten years. In addition, budgets cuts will eliminate the jobs of hundreds of scientists working for various government departments that focus on the environment and wildlife. The discontent, however, goes much deeper than that. In addition to Bill C-38, the Harper government has ended funding for the Canadian Foundation for Climate and Atmospheric Sciences, which had doled out more than $100 million in research funding over the past decade. It has withdrawn support for the Experimental Lakes Program in northwestern Ontario, which has used 58 lakes to conduct groundbreaking studies on phosphate, mercury, and bacterial contamination, as well as research on how climate change affects freshwater systems. And it has killed funding for a program that helps keep more than a dozen Arctic science research stations operational. Canadian author and photographer Ed Struzik has been writing on the Arctic for three decades. In previous articles for Yale Environment 360, he has written about a potential uranium mining boom in Nunavut and about a controversial plan to kill wolves in Alberta.